J. E. Meade was among the most distinguished of modern economists, noted for his contributions to economic theory and policy. This volume presents a series of models of economic systems, each built on greatly simplified assumptions about human motives, technology, and social institutions, and undertakes in each case a series of exercises to examine the links of causal relationship in each case. 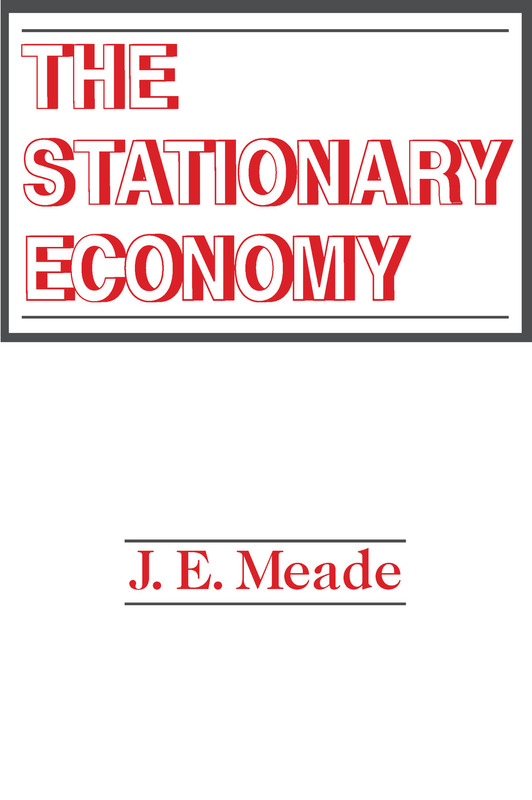 The Stationary Economy is a rigorous and elegant non-mathematical statement of the basic principles and problems of contemporary economic theory. The volume is based on models of systems in which there are no capital goods, and in which consumers' tastes, technical knowledge, and the size and composition of the population are static. This sophisticated restatement of the fundamentals of economic theory also deals with the basic methodological problems of economic analysis. Given the complexity of variables inherent in all economic systems, how is the economist to proceed in dealing with a particular set of interrelated problems? And further, how can the economist be confident that the verdict is more likely to be right than wrong? Meade considers these and other questions in a book important not only to professional economists and their students, but also to those more generally interested in economic policy.